As an athlete, lower back pain can prevent you from enjoying and competing in the sports that you love. It doesn’t have to. Follow these easy steps to get back out there without pain. To prevent back pain, it’s important to understand your back’s anatomy. Your spine is comprised of four sections of vertebrae: cervical, thoracic, lumbar, and sacral. While your cervical and lumbar vertebrae curve inward (toward your belly button), your thoracic and sacral vertebrae curve outward. Repeated bending or high-impact exercises, such as jumping and sprinting, can push your vertebrae against their natural curvature. Be mindful of the way your body is moving and whether you are moving with or against your spine’s natural curvature. To recover the natural curve of your spine, lay flat on your stomach, with your head turned comfortably to one side. Laying on your stomach is the only position that gives your spine the relief and freedom to return to its natural curvature. Also be mindful of the muscles around your spine to avoid hyperextension and hyperflexion – two of the most common spinal injuries in athletes. Hyperextension occurs when your hips protrude too far forward, past your shoulders. You will feel your lower back muscles and vertebrae compress into a tight arc. Hyperflexion occurs when you bend your spine too far forward. 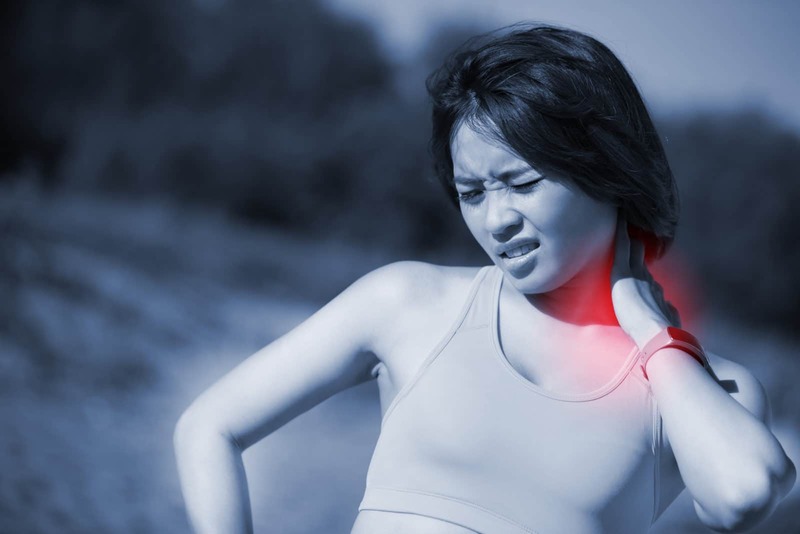 Such injuries can damage your back muscles, spinal discs, and the nerves in your spine. Understanding how you are moving is an important first step in preventing unnecessary injuries. If you’re a boxer, basketball player, football player, or an athlete of another contact sport, you’re likely no stranger to taking blows to the torso. Impact injuries can cause a number of problems for your back and spine, including torn muscles, slipped discs, and pinched nerves. Treat your injuries as soon as possible. Use ice to reduce swelling, and use heat to relax muscles that are spasming. If you need professional help treating your injuries, find a sports medicine specialist near you who can tailor your recovery program to your sport and your body. The best way to prevent torn or strained muscles during exercise is by stretching beforehand. If you regularly go from a cold, stand-still position to full-intensity exercise, you might be wreaking havoc on your muscles. Warm up before each practice and game with these quick and easy stretches. Your back and abdominal muscles work together to keep you balanced and upright. A weak core means your back muscles must work twice as hard. This can lead to strain and overexertion. Strengthen your core by adding an ab workout to your fitness regimen. Balancing your front and back stabilizing muscles will go a long way toward preventing injuries. As an athlete, your body works for you. So take care of it by being mindful of how you move, treating injuries as soon as possible, and being well-prepared for exercise with good stretching habits and a strong core. With these tips, you’ll be an all-star athlete free of back pain. Previous articleTry Ginger Mint Lemonade – It’s Rich in Antioxidants!